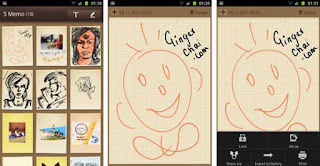 When it comes to Samsung Galaxy Note II then you have to have all the below mentioned application. The original Samsung Galaxy was a hit because of its great features and functions and if you want to get hundred percentage usage out of your Samsung Galaxy Note II then simply go through all the top five applications and trust me you will find some of them useful for sure. One of the most anticipated games of 2013, Temple Run 2, has finally been released for Android Platform. Imangi Studios had released this sequel to Temple Run for iOS last week and it has already been downloaded more than 20 million times worldwide. The original game was launched in 2011 and was an instant success. One of the major reasons behind the success of Samsung Galaxy Note was undoubtedly the amazing gaming experience that the user had on it. Now Samsung Galaxy Note 2, a bigger and better phone than its predecessor, is all set to enhance and take the gaming experience to a new level. Here we present a list of the 10 best game apps for Samsung Galaxy Note 2 that make an optimum use of its advanced features and give immense satisfaction to the users. Are you looking for some cool Christmas apps for Windows 8 and can’t find the best one? We here provide you with the details of few best Christian apps that will adorn your smartphone. There are games, carols, videos, RSS feeds and recipe ideas & all of them are Christmas themed. These apps will help stimulate your brain, improve your gaming skills, provide you with the best food ideas for the celebration and above all, will serve as a great source of fun and entertainment.